In addition to the standard treatment processes, a new water treatment plant includes an automated processing system for removing manganese. 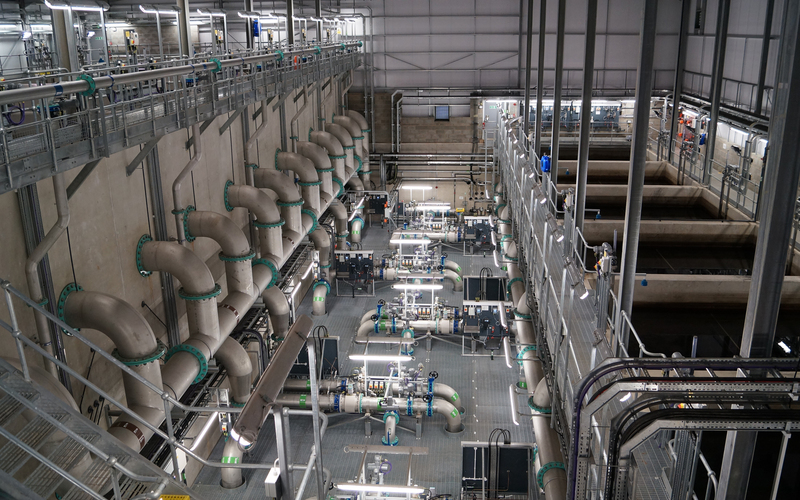 The Dee Valley Water (DVW) project to build a new water treatment works at its flagship site, Llwyn Onn in North Wales, has now been completed. The £17M project opened this year and is controlled by a Mitsubishi Electric system redundant, Q series modular PLC solution. The new works provides DVW with the capacity to produce 47,000m3 of drinking water per day for Wrexham and the surrounding area. In addition to the standard treatment processes, Llwyn Onn also includes an automated processing system for removing manganese, a mineral that occurs naturally in the surface water of the DVW area. With so many people depending on a continued supply of clean water the process for selecting a reliable automation control system for the entire works was particularly stringent. In all, four automation providers, including Mitsubishi, submitted proposals which were scrutinised by DVW and the main project contractor Black & Veatch, before the preferred Mitsubishi solution was chosen. The majority of the subcontract supply chain for this project has been sourced from the north Wales area, including the system integrator, Tycon Automation Ltd. Tycon has an extensive knowledge of the Mitsubishi product range, having used components to complete several large water control projects in the past. Investing in the development of a large library of field proven application specific software modules meant that Tycon was perfectly positioned to provide the integration for what is a large and complex site control solution. The water treatment process consists of dissolved air flotation (DAF) clarification, granular activated carbon (GAC) filtration followed by rapid gravity filtration (RGF) and a chlorine contact tank before being pumped to a storage tank - from where it is fed into the distribution network. Although this is not the conventional process order, it is an arrangement that has been designed to work in this area, which has the additional issue of manganese to deal with. 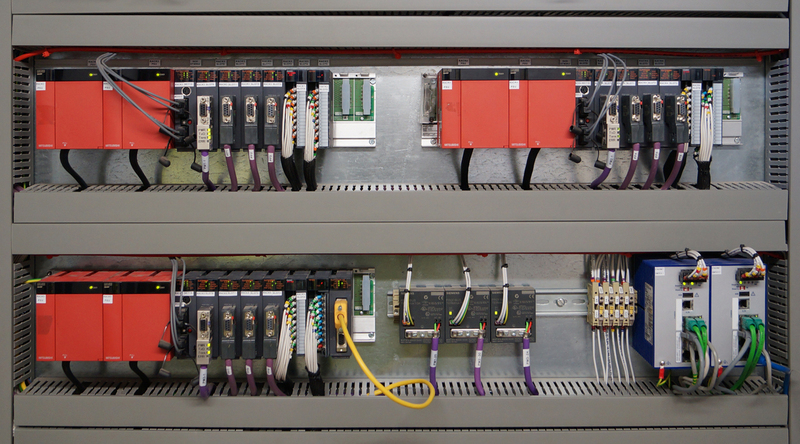 A crucial aspect to the control system was the use of a full dual redundant PLC system. Complete with its own CPU, the secondary system is fully wired-in and tested, increasing the system reliability by mirroring the primary CPU so that in the unlikely event of a failure of the main CPU, power supply or base unit, the secondary system can take over within 21 milliseconds from the same control point. Andrew Robertson, Technical Director at Tycon, said: “There were elements in the contract specification which in our opinion meant it suited the Mitsubishi hardware. Historically I believe this was a Rockwell site but Dee Valley Water were flexible in their approach and were looking for a fully redundant system. They could see that we had achieved this before with a very reliable fully redundant architecture on a larger system installed on the Isle of Man, which we arranged for them to visit, it meant that we could meet both the performance targets and the price point set for this project. “We spoke to Dee Valley Water at length about their preferences and reliability was of paramount concern. 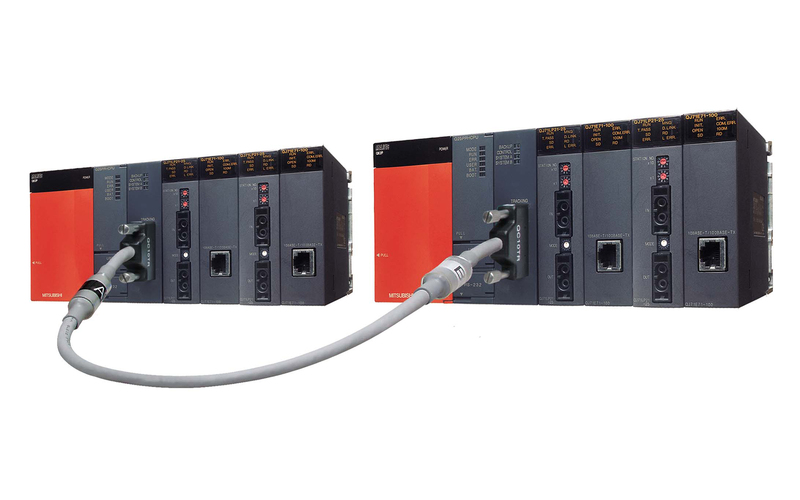 The Mitsubishi QnPRH PLCs are designed to work in a redundant set-up and therefore met the specification from the outset. The system was designed with two processor racks and three I/O racks in the main MCC, with 1/3 of the plant on each I/O rack. The system lent itself to being designed this way as the process contains three DAF lanes, six carbon filters and six rapid gravity filters which give an inherent amount of redundancy in the process; we matched with the control system design to provide the most robust engineering solution. “The pump motors are mostly controlled by variable speed drives (VSDs) which are connected using a Profibus network. We used separate Profibus networks within the MCC, with separate networks going out into the field to simplify design and increase robustness. 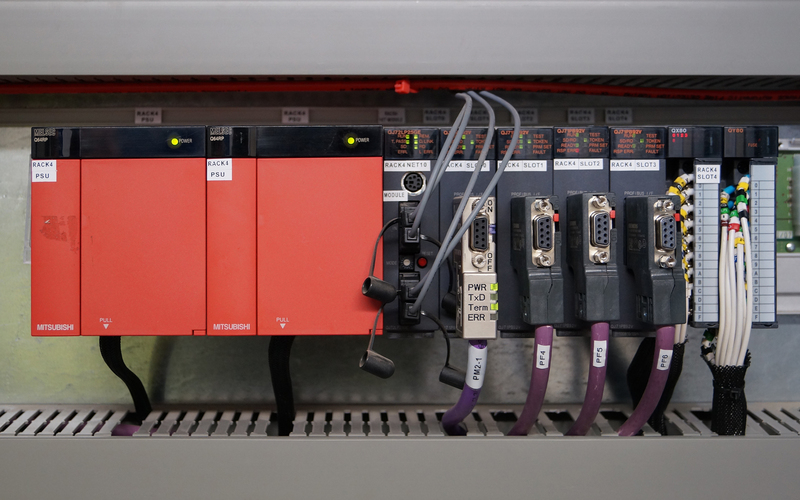 We employed Mitsubishi Slice I/O with Profibus interfaces to manage the I/O locally in the field, which reduces cabling and installation costs and works well with the Mitsubishi PLC which will accept most fieldbus network protocols with a plug-in comms module. “Speed wise, and because there is a lot of digital and 4-20mA I/O (more than 1,000 I/O points) including flow meters, level instruments and quality instruments we segmented the Profibus networks to provide maximum redundancy and system resilience. The response time of the PLC however is far beyond what we would need for this application. PID control loops for flow control valves etc are well within the processing capability of the CPU, with the control loops for the chemical dosing system being the most critical. For this application we are talking seconds, rather than milliseconds, which we often work with in other more dynamic higher-speed applications. The QnPRH is Mitsubishi’s most sophisticated control solution and represents the top end of the Q Series Automation Platform. It offers a high level of system redundancy which insures complete immunity to process interruptions caused by power or system failures. This is achieved by using a fully redundant architecture that duplicates processors and network links. Hot-swap capability provides an operational level of redundancy. The solution was developed specifically for use in applications where downtime cannot be tolerated for reasons of equipment damage, interruption of service, penalties, or regulatory compliance. The dual redundant CPUs (control and standby) mean that any failure of the control CPU causes immediate transfer of control to the back-up, preventing system failure or interruption. Synchronization of up to 100,000 words of process data is possible between CPUs per scan. Switchover time is typically around 20-40ms, ensuring a “bumpless” transfer. Because the CPUs reside on physically separate racks, the control CPU can be replaced while back-up maintains system operation. Most parts are interchangeable with standard Q Series systems which controls both purchase cost and total cost of ownership. Mitsubishi Electric Europe, Factory Automation European Business Group has its European headquarters in Ratingen, near Dusseldorf, Germany.